Bright sunny afternoon, it was a great start to get wet as it was quite a hot day. Reporting myself at the registering to get my passes and goodie bag! I was expecting a lot of babes, but at the registration booth, it was surrounded by a few…uncles? yeap… I guess they didn’t wanna miss out the fun too. The party starts at Wave Pool @ Sunway Lagoon, the place was filled with summer colours and instead of the normal benches, Clinique had turned the entire area into various booths for us to have fun! There’s a booth for hair wrap, air brush tattoos, make over counters, photoshoot and Clinique summer girl booth registration! The party started in the pool itself with JJ and Ean in the house. Sharon got her Clinique sun screen on to protect herself from the uv rays. With Kelly, Wai Yee, Sharon and myself. It’s a fun day and had certainly enjoyed myself with the rides and water park at Sunway Lagoon though I didn’t get to do a makeover or tattooing or hair wrap cause they started to pack up by 4pm and the since it was on the same venue at the same day with MTV World Stage it was kind of havoc in Sunway Lagoon as Justin Bieber fans started rushing in to the lagoon as early as 3pm from Extreme park running all the way to Surf Beach with bieber name on their stomachs, teenage girls are so crazy. Group shot, apparently among the group, I’m the only one who went and played with water… the rest didin’t even get wet at all! 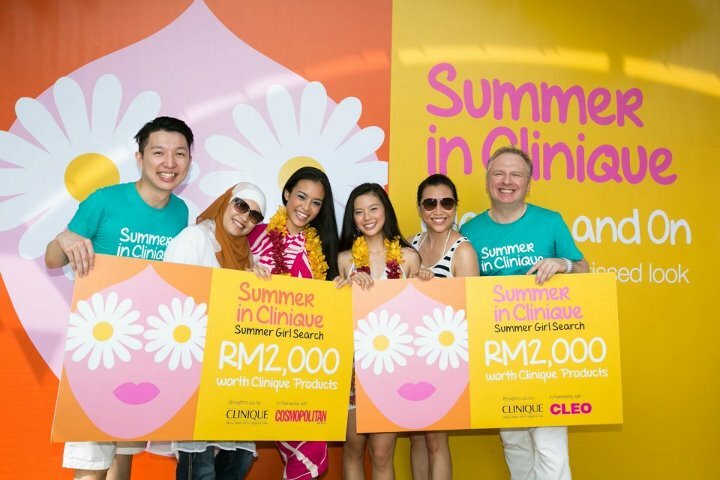 Thanks to Clinique Malaysia for inviting me to join them for a beach party too!